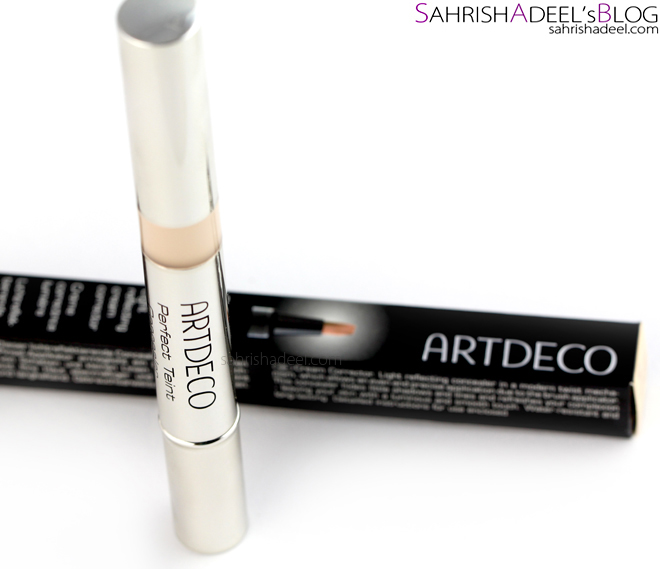 Artdeco Perfect Teint Concealer - Review & Swatch | Sahrish Adeel - Malaysia based Pakistani Beauty & Lifestyle Blogger! Looking for a high quality concealer that will give you a no-makeup makeup finish while making you look fresh and awake? 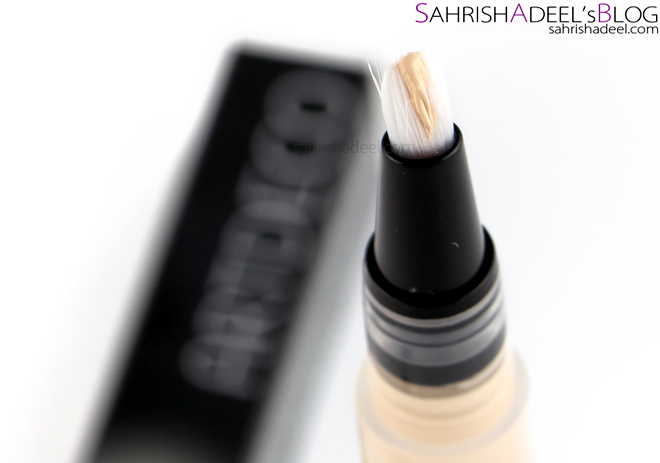 Check out this Artdeco Perfect Teint Concealer that I have been using for past few weeks now. 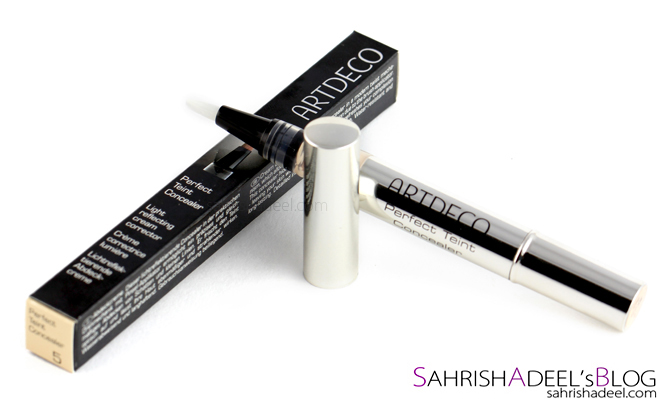 Artdeco's Perfect Teint Concealer comes in a tube with a twist function. It has a brush on top which is use as an applicator. The cap closes firmly making the product travel friendly. Each tube contain 9ml of product and this particular shade is Shade 5 -Refreshing Natural which is suitable for fair to medium skin tones. This swatch has been taken on bare skin without any primer or base underneath. You can see the texture here and how it goes lighter onto the skin than it looks on the brush but then oxidizes a bit to adjust with the skin tone. Previously I tried a brush concealer with twist function from MUA (review still due) and I would say that I had mixed feelings for this design. Artdeco one is not different except it has better sealing of the cap which does not let the brush dry out and get hard. The design of the tube is practical but messy. You twist the bottom and product comes out from the brush and then you can just swipe it directly onto the skin. Though this method is not suitable if you have acne prone skin or you are going to use the same tube on more people. Just take the product out on back of your hand or preferably on one of those makeup artist flat plates (the word is on the tip of my tongue). Messy part is, every time you will close the cap, you are likely to touch the sides of the inside part of the cap and when you will take the brush out again, you will have a product coated part. The product has a liquid-cream-ish consistency, neither runny liquid nor thick cream, just in between which makes it really practical to spread and then blend. I personally like to use brushes to blend this concealer specially under eyes. Since the formula is towards liquid consistency, I noticed that if I blend it with my finger tip, the product kind of comes off. But I get airbrushed finish when I use a fluffy brush. It even works great with Real Techniques' Pointy Foundation Brush. When I apply the concealer onto my skin, it looks really light compared to how the shade looks on the applicator but once I start to blend it, it sets and oxidizes a bit to change color to adjust with the skin tone which I really liked. No, it does not turn orange at all. And it totally becomes skin-like once it sets. Coverage is sheer to medium; it is totally build-able and for medium coverage, I usually have to layer it thrice. It is always sensible to start with lesser quantity and then build it up gradually as it really helps with creasing. Wearing time is quite good, for me it stays for good six hours and more without creasing or sliding under my eyes. It does not crease at all if I seal it with a powder but I noticed a bit of creasing when I did not seal it with anything. I have oily skin and concealers usually crease under my eyes real bad, so for this one, I would give full points with my open and happy heart. - When applying a concealer under your eyes, try not to use your finger specially when you have oily skin. This will encourage skin to produce oils and your concealer will have an oily layer underneath before it will completely set causing creasing later on. - When using a brush to apply concealer, do not just blend in one direction. Use a left-right swiping motion of the brush (small circular motions are even better). It will help concealer not to set in your fine lines reducing the chances of creasing later on. Even though 9 ml is quite good quantity for the price but I am sure some people will find it heavy on their pockets. As an alternate, you can totally give MUA's Cover & Conceal Wand a try. Both work quite same but MUA one has less longevity however, you cannot complain when you see the price. Overall, I am really loving this concealer for the gorgeous scratch free packaging, formula, coverage and longevity. Also, all the claims Artdeco made are true except that it will not cover heavy dark circles. 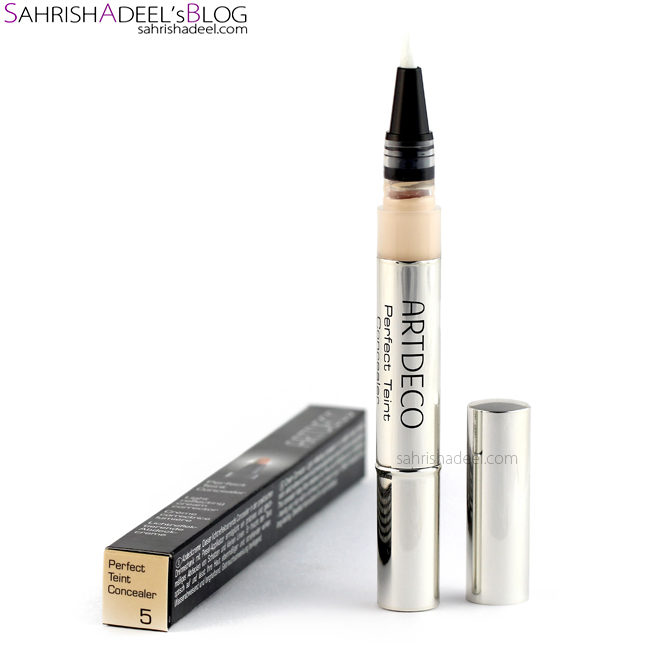 Artdeco Perfect Teint Concealer costs pkr 1100 and you can find it in all major stores across Pakistan. Join Artdeco Pakistan's Facebook page for more details. You can also buy it online from Just4Girls.pk and they ship within Pakistan as well. For overseas, I saw it costing about $16 online so you might wanna check a few websites before you order it. Which design you like in concealer? 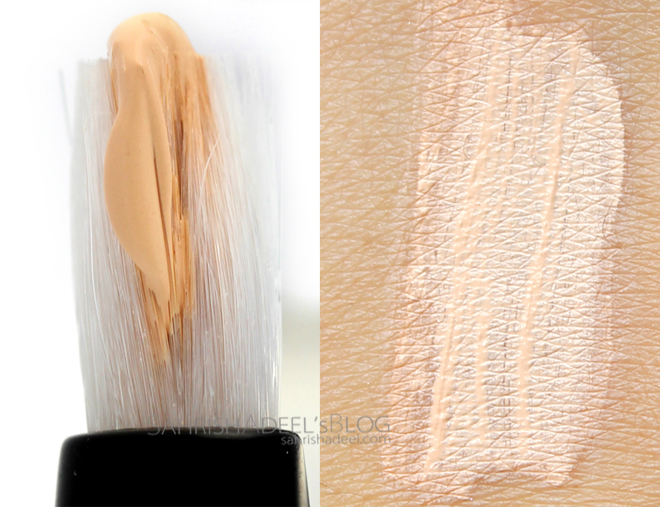 Ever tried concealer tubes like this one?